It is now over 50 years since the premiere of Dr No, the very first Bond film, with Sean Connery introducing 007 as the glamorous secret agent who would become the single most profitable movie character in the history of cinema. But James Bond was invented by one man, Ian Fleming, a wartime intelligence officer and Sunday Times newspaper man who lived to see only the very beginning of the Bond cult. 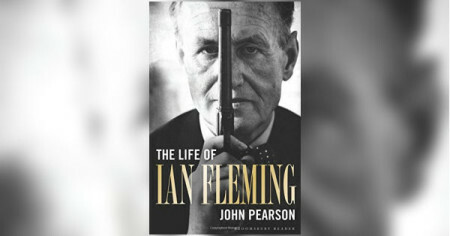 First published in 1966, John Pearson’s famous biography remains the definitive account of how only Ian Fleming could have dreamed up James Bond, for he led a life as colourful as anything in his fiction, which in turn became a covert autobiography. Charming, debonair and a ruthless womaniser, globetrotting from wartime Algiers to beachside Jamaica, Fleming was as elusive and opaque as his imaginary creation. In his new introduction, John Pearson examines the extent to which Fleming’s character informs even the most recent movie portrayals of his hero, and how Bond himself has achieved immortality beyond his creator’s wildest dreams.